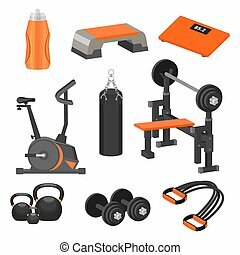 Bench scales vector icon in golden circle, cartoon style isolated on white background. Weighted approach vector thin line stroke icon. Weighted approach outline illustration, linear sign, symbol isolated concept. 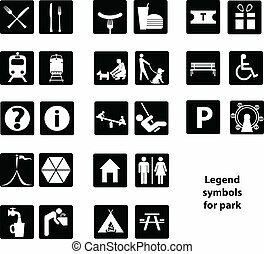 Cartographic symbols in the park. Vector illustration.